Thank you solar energy industry for the award! Published: Monday, July 4, 2016 Solar radiation monitoring has become a standard practice at solar energy plants. And almost every power plant uses pyranometers. Since the launch of our Smart interface the user friendliness of our pyranometers has been much improved. The solar industry has recognised this and we are honoured to have received the Solar+Power ‘Energy Usage Enabling Award’. Last year we expanded our range of Smart monitoring instruments with our highest performance pyranometers, SMP21 and SMP22. This has led to the nomination for the award that resulted in the best compliment we could get: an award based on the solar industry’s votes. We are honoured that our strategy of innovation and development is in line with the industry’s demands. This year we have made another step towards the market’s desire. With our new RaZON+ we have an affordable system for solar monitoring that has all features and measurements combined, all-in-one. Read more on our product page about its user-friendliness and other unique features. 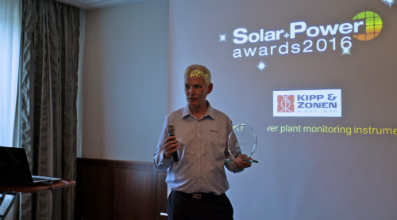 After the first exhibition day of Intersolar Europe last month the whole Kipp & Zonen team rushed through the Munich traffic to attend the Award ceremony organised by Solar+Power. 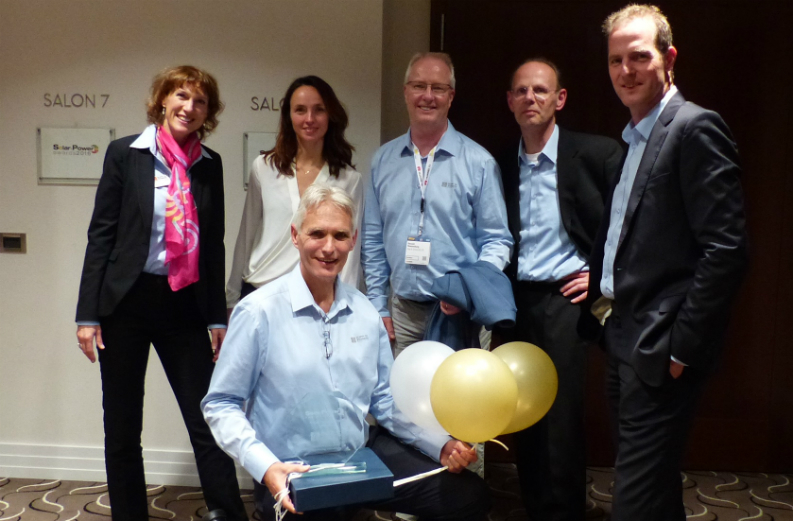 In the delightful company of 12 other award winners our product manager Ruud Ringoir proudly received the award. We would like to thank everyone that voted for us and especially the organisation at Solar+Power for acknowledging our small role in the large solar energy industry.